How much is Khamani Griffin Worth? 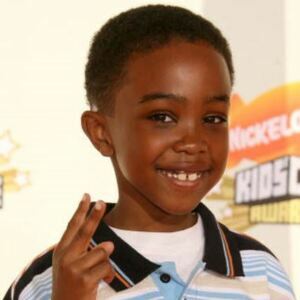 Khamani Griffin net worth: Khamani Griffin is an American actor and voice actor who has a net worth of $400 thousand. Khamani Griffin was born in Oakland, California in August 1998. One of his best known roles came starring as Robert James Jr. on the television series All of Us from 2003 to 2007. Griffin provided voices for the TV series Ni Hao, Kai-Lan from 2007 to 2011. He has appeared in the films Daddy Day Care, Norbit, and Hip-Hop Headstrong and voiced roles for the movies Barnyard, Happy Feet, The Little Engine That Could, Rise of the Guardians, Cloudy with a Chance of Meatballs 2, and more. Khamani Griffin has also appeared in episodes of the TV series ER, My Name Is Earl, Without a Trace, Carpoolers, Entourage, Navy NCIS: Naval Criminal Investigative Service, Grey's Anatomy, Are You Smarter Than a 5th Grader?, Brothers & Sisters, Sofia the First, and more. He has been nominated for three Young Artist Awards.